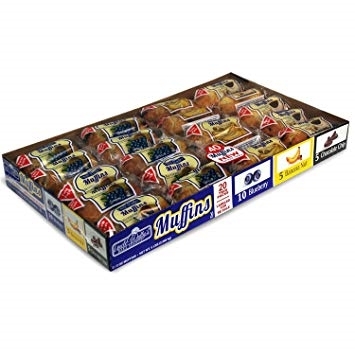 Contains a total of 40 muffins in 20 individual wrapped packs. May be frozen for later use. Each case contains 10 blueberry, 5 banana nut and 5 chocolate chip twin packs. Each pack weighs 4 ounces.